1 November 1945. The Constitutional Problems Investigation Committee, established by the Shidehara cabinet and led by Matsumoto Jōji, is now given exclusive authority over constitutional issues. This follows criticism of Konoe Fumimaro’s role in the constitutional process. Since meeting with MacArthur on 4 October in his role as acting Minister of State, Konoe has been working on revisions. With the fall of the Higashikuni cabinet, he is also Lord of the Privy Council. Due to his involvement in wartime politics, however, his role in the constitutional revision has been criticized both in Japan and abroad. Even MacArthur now distances himself from Konoe, and GHQ denies giving him any endorsement to work on the constitutional revision. 1 November 1945. 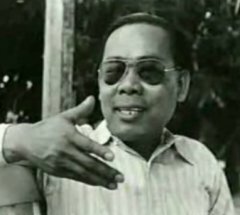 Rejecting the AFPFL push for a dominant role in the post-war governance of Burma, Governor Dorman-Smith forms an Executive Council that excludes the AFPFL and only includes ‘loyal’ prewar politicians. He is determined not to depart from the White Paper and not to continue Mountbatten’s ‘appeasement’ approach towards Aung San and the AFPFL. Aung San soon responds, calling on the Burmese to emulate India’s struggle for independence. Later in the month, he forms a private militia, the People’s Volunteer Organization, with thousands of discharged PBF soldiers and former resistance fighters. With the PVO at his command, he is now able to threaten the British with an armed struggle.